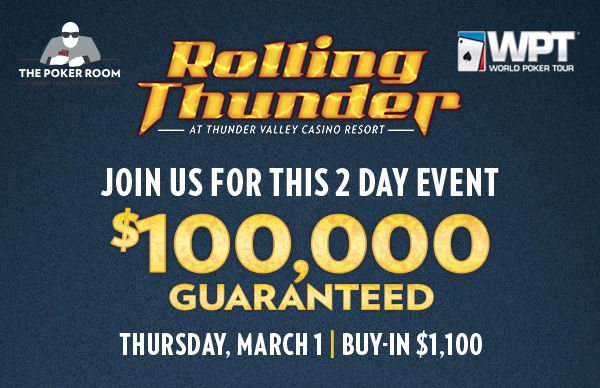 Registration has closed on Event 1 in the March 2018 @WPT Rolling Thunder Series - $1,100 with a $100,000 Guarantee - and the board shows 196 entries for a $196,000 prize pool and $48,650 to the champ. Play continues tonight until down to 25 players - or the end of Level 19, whatever comes first. Here's some chipcounts from around the 81 remaining players as we input the full PayTable.